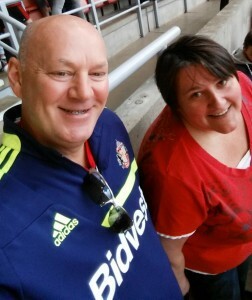 Different year … same SAFC. Well I’m telling you this, Ellis, your squad is paper thin and riddled with 5/10 players who occasionally get a 7/10. Chris Coleman has hope, belief and crowd support but desperately needs financial support in January. My advice for 2018 is identical to that of 2017…. Tags: Championship, Chris Coleman, Ellis Short, Martin Bain, Sunderland A.F.C. We appear to be on a sink or swim exercise now and making do with players out funding players in. CC will have to make his moves carefully he could be gone before he gets the suitcases unpacked. Ellis Short now lives in Florida, following his son’s progress at a tennis academy. How much interest does he have in Sunderland these days? Does he consider it a bad investment and one in which he doesn’t want to throw good money after bad? The value of his investment will drop even lower if we get relegated again. Hopefully, he will see this and put his hand in his pocket. I wonder if financial fair play rules prevent him putting in additional funds. Do we need to sell in order to buy? Can we get decent money for Ndong and Kone? Can we get Rodwell off the payroll? Let’s just hope we find our level in Div 1. We are an absolute shambles facing extinction. Only Short can ultimately change this , remember his recent interview stating he wants us to be a top 6 premier club ? It would be funny if it wasn’t so utterly pathetic. This was my best mate’s text reaction to the Barnsley game. I was back home for the game but couldn’t go due to the dreaded lergy…..I think I had more fun drowning in Penderyn whisky…….